In November of 2015, those same living words from Jesus began to burn into the heart of Pearline, a young lady from one of our Southeast Asia nations. Like Peter, she also was a follower of Jesus, and like Peter, Jesus’ words were to profoundly impact the direction of her life. Pearline grew up in a Buddhist family. When her young sister Theng Hoon, became a follower of Jesus in 2009, Pearline did not approve. She and the rest of her family ridiculed her sister for her faith. Theng Hoon was working in the city nation of Singapore and came in contact with the House of Bread, the Nazarene church plant in Singapore. The group began to pray for Pearline and the rest of Theng Hoon’s family. Pearline faced a personal crisis in 2013. In her distress, Pearline called out to many gods in different names but only God in the name of Jesus came to her rescue and her life was radically transformed. Although the challenges remained, she could now face the future knowing that the One living inside of her was greater than any giant she would face. Pearline grew rapidly in her walk with Christ and became a part of the House of Bread (HOB). She began to use the gifts and graces God had given her and became one of the lay leaders in HOB. Singapore participants at the October 2015 Emerging Leaders’ Conference. Pearline is third from right. Her sister, Theng Hoon and husband Bozhi are on the left. 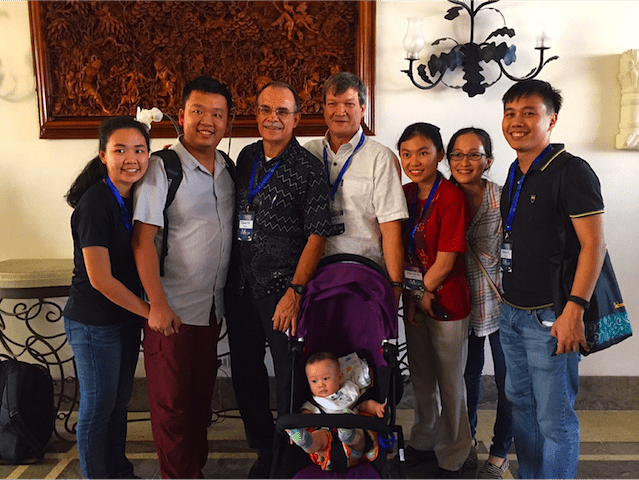 The Rocky Mountain District in the US caught the vision of planting the church in Singapore and at their June 2015 NMI Convention, gave a generous offering for “Church Planting and Leadership Development” in this Asian city nation of 5.5 million people. As a result, Pearline and four others from HOB participated in a regional Emerging Leaders Conference organized by the Nazarene Church in October 2015. During those days of worship, prayer, and training, Pearline began to more clearly hear God’s voice for the next phase of her life. In the following months, on multiple occasions and through various means, Jesus’ words to Peter to “Feed My Sheep” (John 21) began to take on new life and meaning as the Spirit applied these words to Pearline’s own situation. She already had a university degree in Industrial and System Engineering and a very good supply chain managerial position with a multinational consumer goods company. Her career was growing but she began to sense God’s calling to a different path. She began to consider theological study. Pearline’s first day at APNTS. And so on August 9th, Pearline arrived on campus at APNTS. She is the first person from the Church of the Nazarene in Singapore to pursue full-time theological studies. 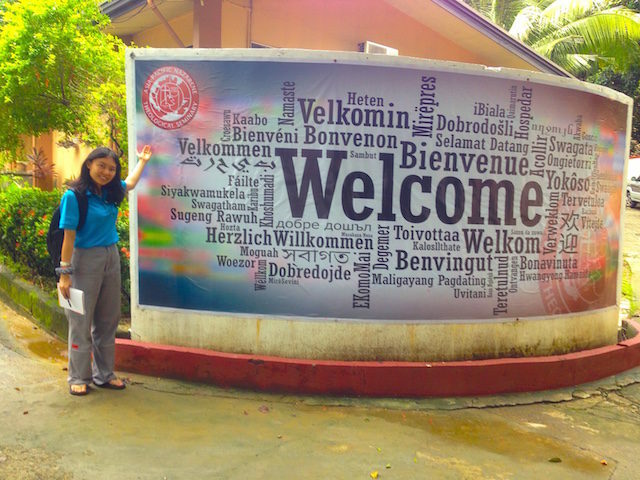 Pray for Pearline and the other new students at APNTS as they follow God’s calling in their lives. Last semester there were 231 students enrolled in various programs through APNTS including on-campus students and those enrolled in various extension programs. Pray for those who are a part of the growing Church of the Nazarene in Singapore. Pray that others will hear God’s call and prepare for expanded ministry. Pray for Pearline and Theng Hoon’s family, that they might come to know the transforming power of Jesus. Feature Image – House of Bread in Singapore.